Happy International Women’s Day. By now you’ve no doubt been inundated with branded campaigns capitalising on the day to make you consume more things you definitely don’t need. 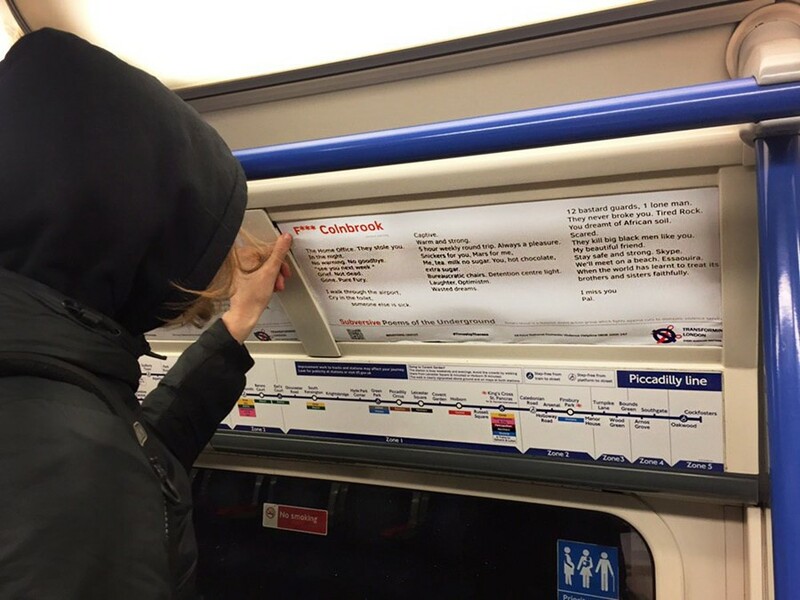 To cut through the noise, Sisters Uncut have replaced the adverts on London tubes to shift the narrative back to what women actually do need. 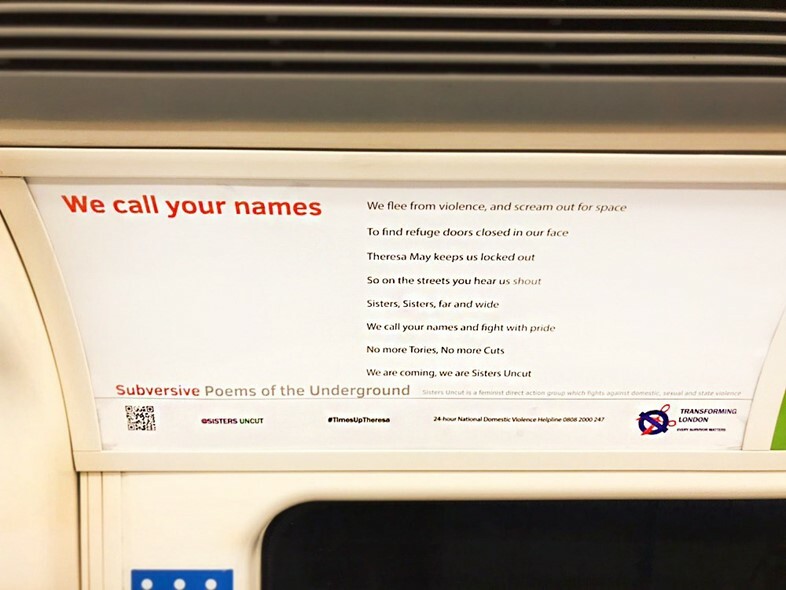 The feminist activist group have collected 14 poems, written by survivors, domestic violence sector workers and their allies can be found in the advertising slots across the Central, Northern, Victoria, and Piccadilly lines. The carriage posters include real stories that amplify the experiences of marginalised women, including how the hostile environment towards immigrants has locked out women who are refugees. Other posters take aim at the government cuts and policies that have bound some women to their violent relationships. International Women’s Day was created to focus on women’s rights, so it’s only fitting to zone in on the activists who are using the day to amplify voices silenced by the state. This morning, Women’s Strike organised a protest to centre the voices of trans women in the UK. 50 trans women and their allies occupied the Ministry of Justice to protest against transphobic plans to move trans women to all-male prisons after the death of Vicki Thompson, 21, at HMP Doncaster. She had been denied access to hormones. Read about how Sisters Uncut are building a new feminist movement.